“There’s nothing like the clean sound that one piece of wood gives a percussion instrument” says Jay Jones 55, company president and the great-great-great- grandson of James P. Cooley, co-founder of the drum-making business. Jones revived a lost art in drum manufacturing when he helped design the Noble & Cooley snare drum. By returning to the company’s roots, Jones shaped a single-ply solid wood shell on the same machinery used to manufacture drums more than a century ago. The company got its start in 1854 when Cooley and mechanic Silas Noble began making drums in Noble’s farmhouse kitchen. Though they manufactured other items, including marching drums for the Union Army, their primary product was the toy drum. In the early 1900s, tin replaced wood as the basic drum-building material, allowing Noble & Cooley to churn out even more toy drums. At its zenith, after rock ‘n’ roll had swept the nation, the company was producing more than 1,000 toy drum sets a day. Still, Jones concedes that he, like his father John before him, was looking for another product to keep his workforce busy year-round. In the 1980s, Jones found it: the single-ply solid shell snare drum. While other drum companies were using multiple-ply wood shells, Jones decided to make a high-end, single-ply snare drum, using some of the same equipment designed and built by his forefathers more than a century ago. Because of its true sound and deep resonance, the Noble & Cooley snare became an instant hit throughout the music world. Today, the company employs five workers who make and paint the shells and install the hardware and heads for 1,000 drums each year, including snares and complete drum sets, with prices starting at $1,400 for the classic snare, and $2,500 to $6,000 for a full set. 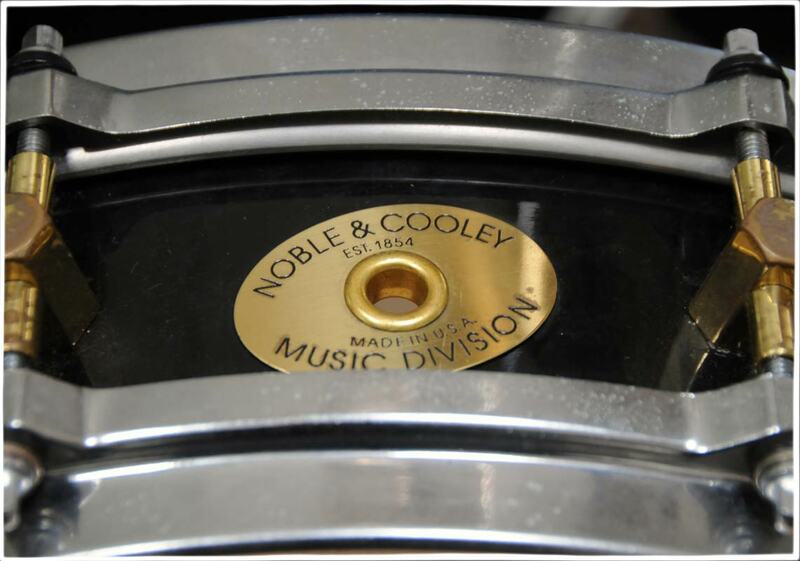 For professional drummers, a custom-made Noble & Cooley drum is worth its premium price. It’s quite simply the Lamborghini of drums.